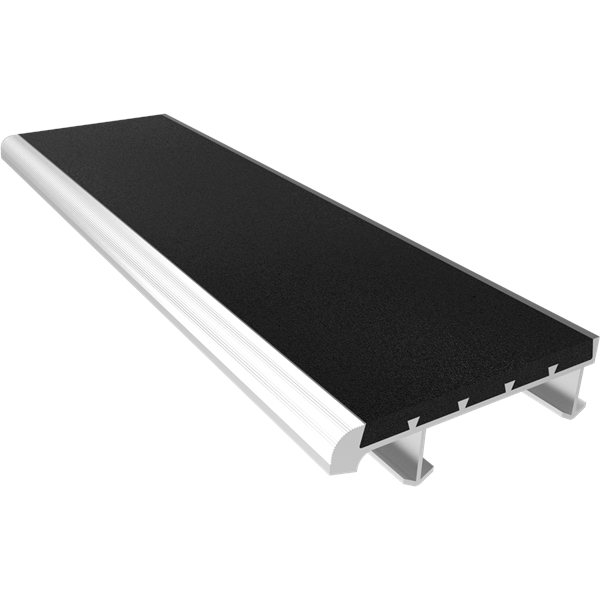 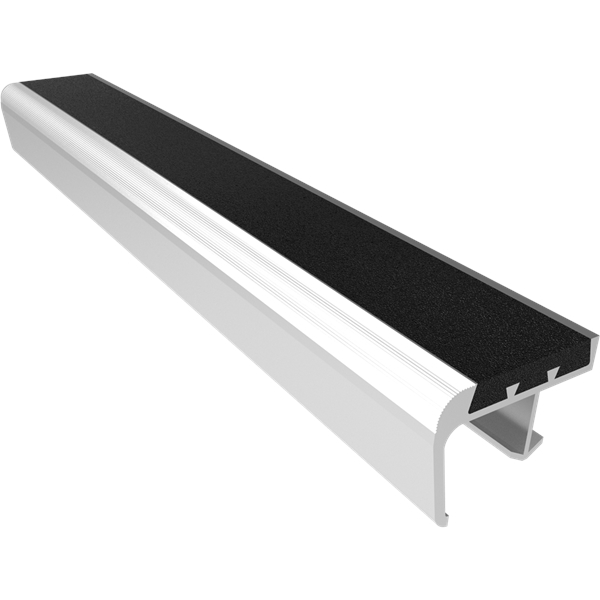 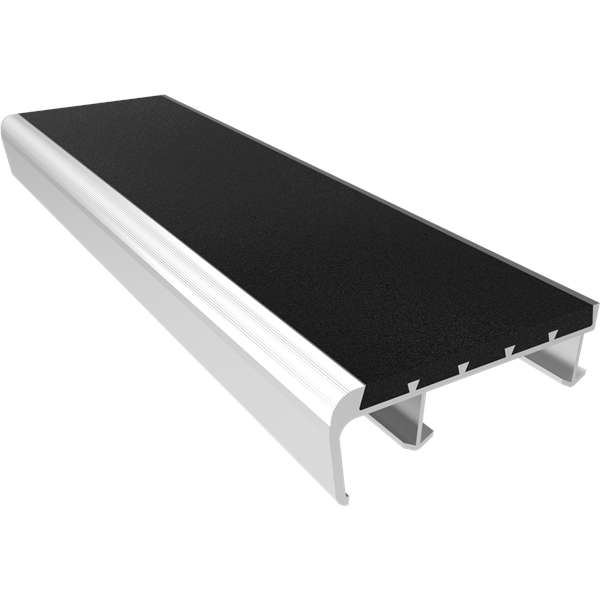 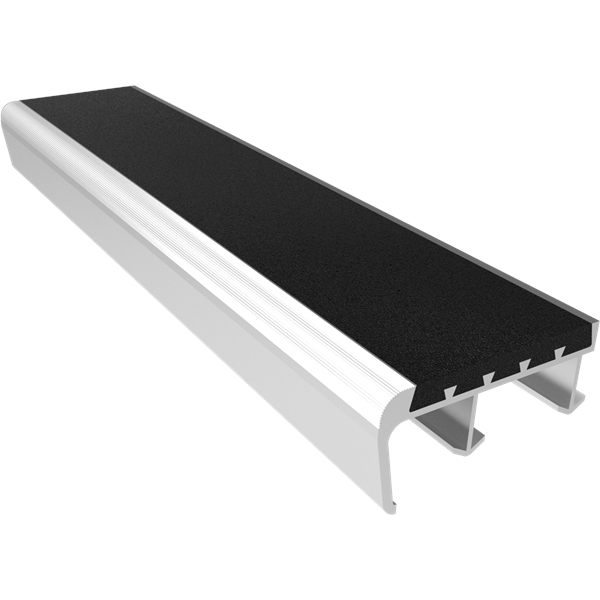 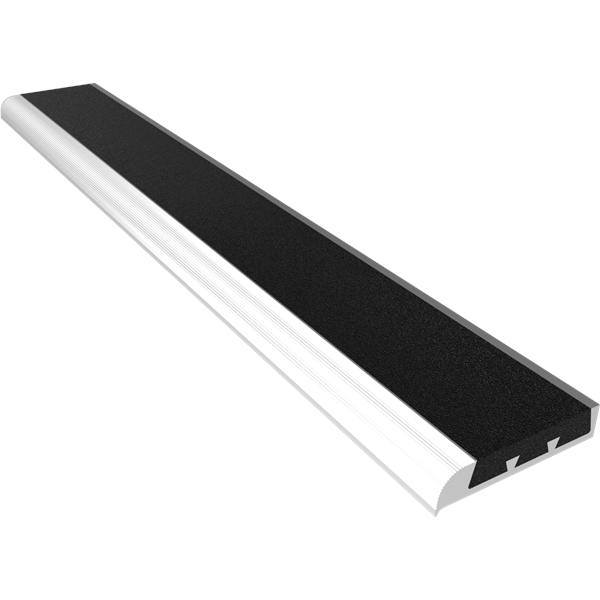 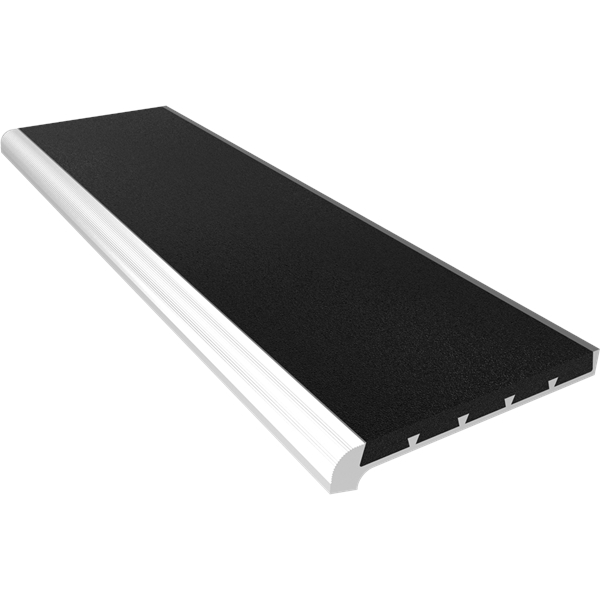 The Full Abrasive Nosing is designed for use on stairs and is made from an extruded aluminum base with aluminum oxide silicon carbide abrasive material locked into the extruded channels. 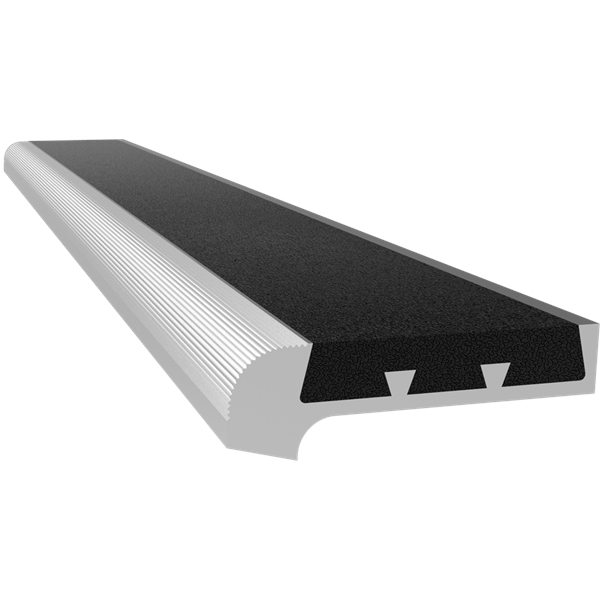 The material is consistent throughout the tread. 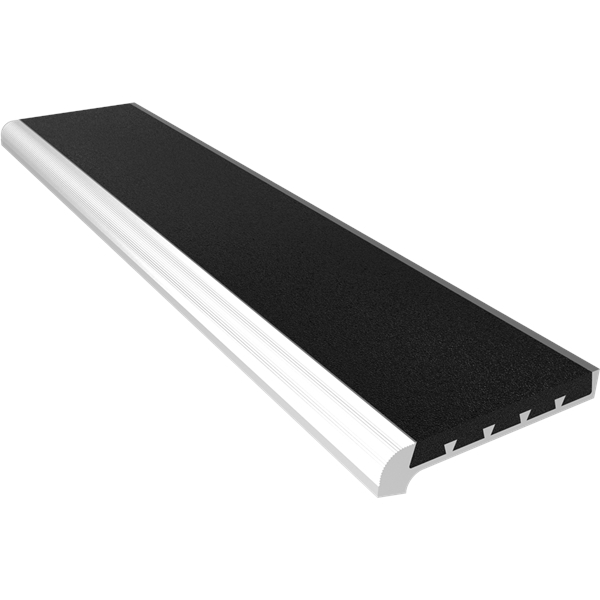 Ideal for indoor and outdoor applications, the full abrasive tread is easy to install and an economical option. Width 2", 3", or 4"
BABCOCK-DAVIS warrants all Stair Nosings to be free from manufacturing defects in materials, factory finishes, and workmanship for a period of one (1) year from the date of shipment.